Typhoon Saola, as has been widely reported in the international press, triggered exceptional monsoon rainfall in the Philippines on 6-7th August. Manila and its surrounding suburbs, with their densely populated low-lying districts, were particularly badly hit. 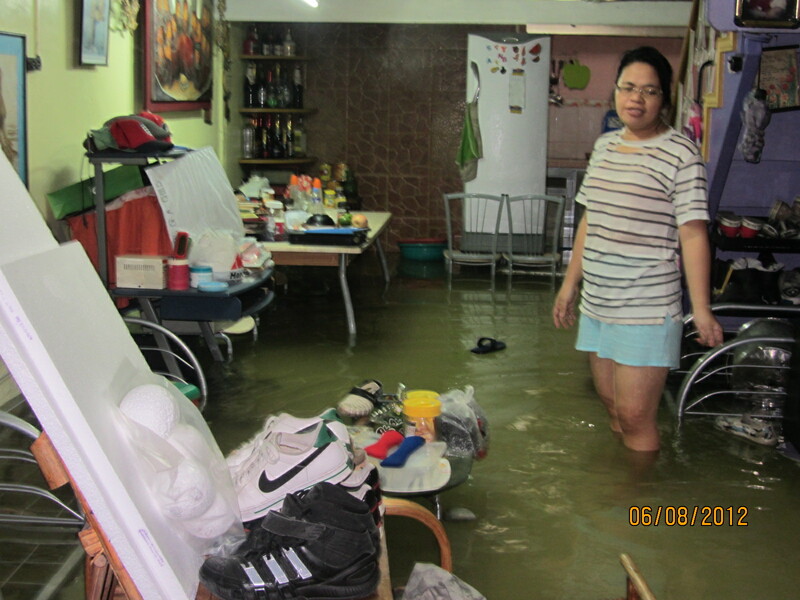 Over 50% of the Metropolitan area was flooded – sometimes up to neck-height. Around 250,000 people have been displaced from their homes, many of which have been badly damaged by the water. From the first days of flooding, Food for the Hungry has been supporting local churches in their relief efforts for those most badly affected. Our response has focused on poor communities where FH Philippines has long-term relationships with local leaders and churches. Immediate grants from FH and FH Canada have enabled FHP to support local churches and volunteers who are distributing clean water, hygiene kits and sleeping gear as well as supplying feeding centers with both cooked and ready-to-eat food. In addition, FHP and their partners have already set up a medical clinic in one critically affected district where high incidence of disease has occurred, particlarly among children. The next challenge will be to help those families whose homes were completely destroyed to start rebuilding their houses – and their lives. Food for the Hungry has been working with refugees still recovering from years of ethnic and political civil war in Burundi – one of the poorest countries in the world (according to the UN: http://hdrstats.undp.org/en/countries/profiles/BDI.html ). 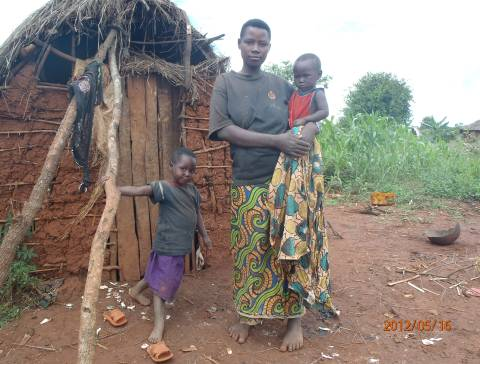 One community of Kirundo district particularly continues to suffer from the effects of that war and recently faced a severe food shortage such that the young and vulnerable were dying – over 79 in the last few months alone, many of whom were children. In response, FH worked with community leaders to bring much-needed food into Kirundo. Some of our staff who serve in the region were able to visit with two of the over 630 families who benefitted from FH’s support. Mutabazi and Esperance Berchmans, a young couple with two children Nijembere (5) and Uwizayimana Janvier (2), are one of the families FH was able to serve. FH talked with another family of six: the husband, wife and 4 children. When we visited them, the husband and two of the children were not at home. We found the wife (Mukantwari Edissa) and two children, Serieuse (4) and Manishimwe Elissa (10) at home and were able to visit with them. The village of Khotar Char is situated in a remote southern part of Bangladesh attached to the estuary of a big river and a coastal belt. 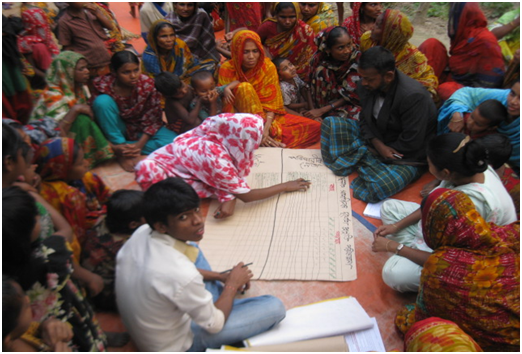 It is highly prone to cyclones and has often experienced massive loss of lives and assets. 104 families (416 people) live in this village. Most of them depend on fishing; a few are farmers and small traders. They were so poor and helpless, due to illiteracy, superstition and moneylender exploitation, that why they were restricted to living in unsafe places outside the flood embankment. In 2007 the village was affected by a category 4 cyclone named SIDR that killed 30 people and seriously damaged their assets, both livelihoods and houses. g, security and search/rescue services. in response to warning announcements and their houses were kept secure by the volunteers. They had kept dry foods and water in plastic pots under the ground to preserve them for future need. This preparedness saved people’s lives and assets. A fire broke out in Shashego district in the Southern Nations, Nationalities and Peoples’ Regional State of Ethiopia on Feb 6th 2012. The houses of 23 families with whom FH has worked over the years were completely burnt down, together with household furniture, utensils, food and money. The government estimated over $113,000 in property was lost for these families – which is devastating in such a small community. After the fire they were living under plastic sheets and canvass, so through partnership with the local leadership of the community FH decided to support the reconstruction of their homes. 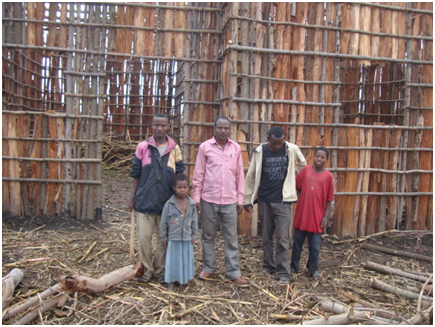 With a $10,000 grant from the Emergency Response Unit, FH Ethiopia provided supplies such as corrugated iron sheets and nails for construction of houses, while other partners and the local government provided food, clothes and wood for construction. The partnership, distribution and construction was managed and supervised by a joint team of local leaders and FH staff. Currently 15 households are finishing their foundations and walls. Overall progress is good and completion is expected within a couple of weeks. Family and community members have expressed their gratitude for the support they have experienced through the kindness and generosity of the partnership initiated by FH. The enrollment of new children in our “Child-Focused Community Transformation” (CFCT) program allowed the identification of children that were not registered in the Civil Registry. This Government office is responsible for registering every child that is born and enrolling them as a citizen, giving them a name and therefore responsibilities and rights as citizens. During the period that FH was beginning community work in Somotillo, FH staff realized that more than 45 percent of the kids in the community between the ages of 5 and 12 did not have a name and were not registered as citizens, as if they did not even exist or had never been born. Upon discovering this problem, we began walking with leaders, pastors, and teachers to approach the local government, asking them to be flexible and to give families the opportunity to follow through with this procedure. The impact this had was that 95 percent of the children now have a document that validates their identity. 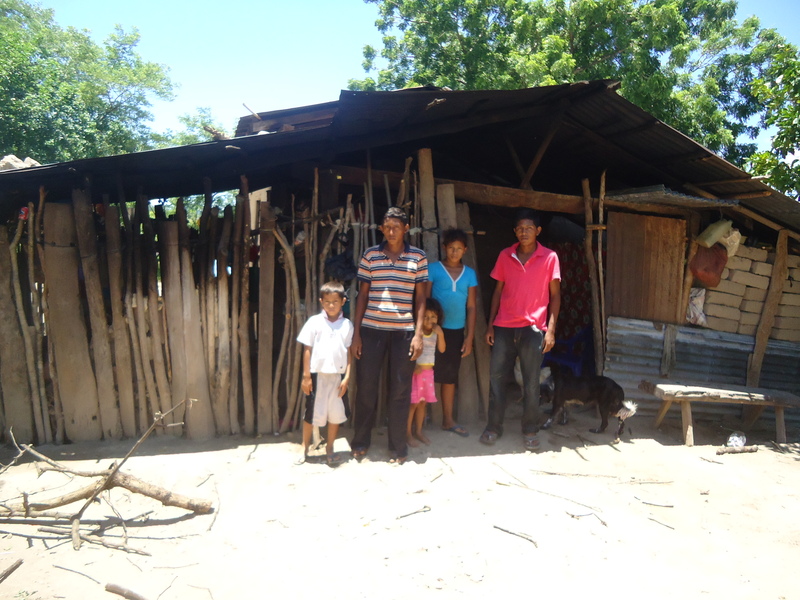 Somotillo municipality is the new Region where FH Nicaragua began to work last Summer. It is located in the State of Chinandega, 6 km from the Honduran border. This location is associated with a high rate of trafficking of drugs, constant migration of townspeople, juvenile prostitution and illegal trafficking of merchandise for commercial use without payment of customs taxes. It has one of the highest rates of HIV/AIDS due to the constant migration from one country to another. The most common crops of this area are corn, sorgo, sesame seed, watermelon, and at slightly lower levels, livestock. The principal source of provisions for the families is their own farming in which they produce crops for personal consumption and to sell in small quantities within the community. The soil is dry and eroded and the climate is unstable, with a high risk of flooding or drought. In the communities where FH works, there is a lack of access to public services such as drinkable water, electricity, health facilities, and education. 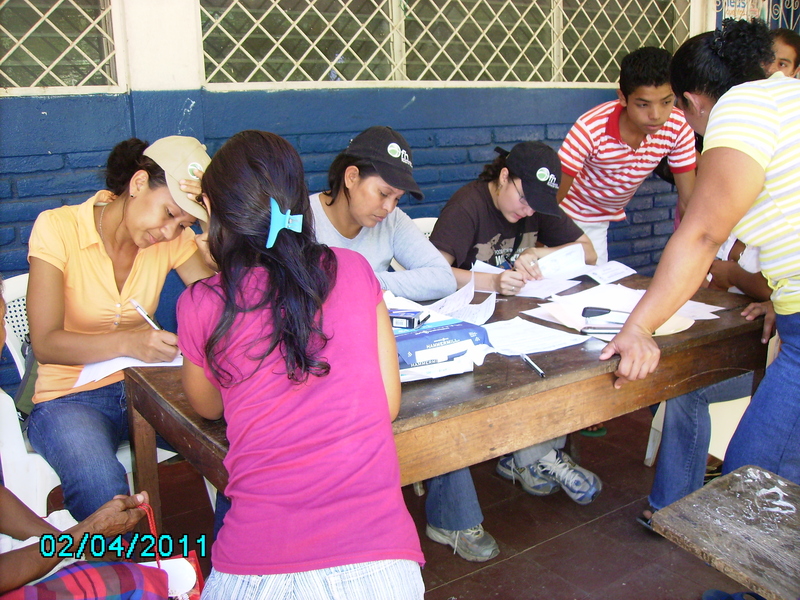 FH began working in Somotillo about four months ago. To date, the biggest achievement is that more than 95 percent of the children in the communities in which FH works have been registered in the local governmental offices. This offers the children the right to education, to be legal citizens of the country, to have an identity, and to have access to services and jobs both inside and outside their community. In these same communities, there are many adults that were not registered upon birth and that to this date are deprived of the right to education, health services, decision making and honorable jobs. FH is also assisting the community adults to get registry and gain citizenship. This is the reason FH Nicaragua praises our Lord for giving us the opportunity to work in His Kingdom through our work in these communities. Now, more than 200 children will not have the same fate as their parents. With the little time we have had to work in these communities, the relationships with pastors, leaders, and teachers of the schools are essential. Some parents had children 12 years of age that were not registered in the Governmental system. The community leaders and FH staff worked with the parents to guide them through the process of registering their children with two main goals: to give their children an identity and to be able to enroll their children in the CFCT program. It was not an easy job. Often this takes a change in mindsets, time, paperwork, and financial investment for payments of fees and lawyers. The leaders and the teachers asked the authorities for flexibility with these families, stating that they are families of low income, are often illiterate, and lack knowledge of the importance of this process. Since they were people themselves who also had not been registered in their childhood, the local authorities could not deny their request. More than 200 children were registered in less than four days in the month of April, allowing more than 500 children to be enrolled in the CFCT program. · Strengthening of the relationships between FH and the leaders of the community, teachers, local governmental officials and pastors. · More than 200 children enrolled in the National Registry. 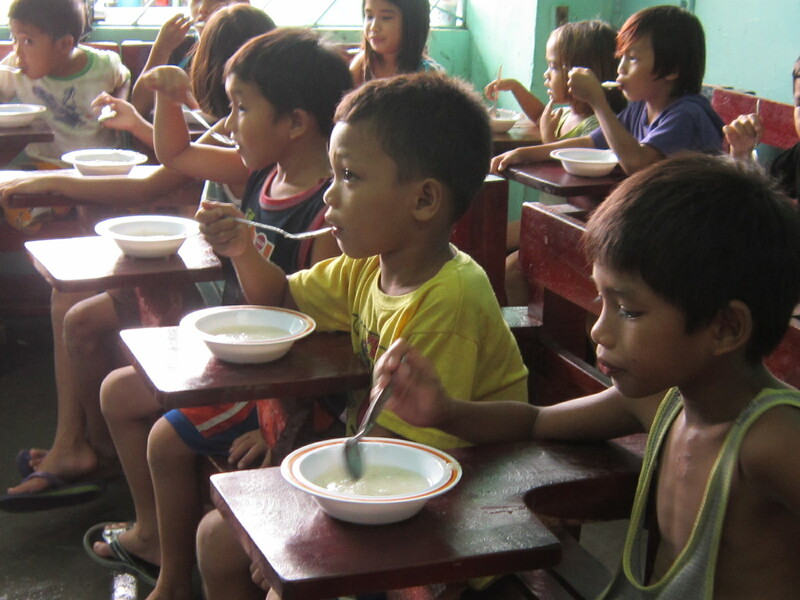 · More than 500 children enrolled in the CFCT program. With the help of FH Nicaragua, the residents of La Flor, Los Limones, Los Balcones and La Pavana were informed of the importance of registering their children immediately upon birth. The leaders have been encouraged to work directly with the families and teachers in all aspects that relate to wholistic childhood development. They also were made aware of local government support to complete the registration process. My home was just next to the ocean, in Arahama district, in the vicinity of where the JIFH storage facility is now located. When the earthquake hit, I was with my grandparents and my twin sister. My children were at school. went to another evacuation center nearer the ocean were engulfed by the tsunami with all the cars parked there. About three days after the disaster, when I went outside the premises of the evacuation center, I was shocked at the hellish sight before my eyes. We saw numerous bodies along the beach and cars hung on telephone poles. I could not believe my eyes when I saw some people stealing gasoline out of abandoned cars. At the mortuary, where I went to identify my relative’s body, I saw about a hundred more bodies, which I could identify as my acquaintances. When I saw them just placed in coffins without any flowers or their photos, I was filled with sorrow and lost words. hand in order to survive. Later, my family and I were sent to another school gymnasium and we spent over 3 months there. I first heard about the storage facility of JIFH in a school gymnasium, where I was taking shelter. All the things offered at the storage facility of JIFH, such as vegetables, summer clothing, rice, and daily necessities are very helpful to us evacuees. As there are people who have no means of transportation to get to the storage facility, I deliver necessary items to those: the elderly and my acquaintances near and far. I even drive to the neighboring Iwate prefecture to make a delivery to my acquaintances there. warm smiles. I was almost into tears with joy. I wanted to do something in return, and started working as a volunteer in the storage facility. I also invite my neighbors and acquaintances to join.